Decorative Window Films | ProMark Window Film & Blinds Inc. Decorative window films are a great choice when you want to obscure the view, yet still allow natural light to shine through. ProMark Window Film & Blinds can create custom designs which will enhance your windows while adding the degree of privacy you desire. 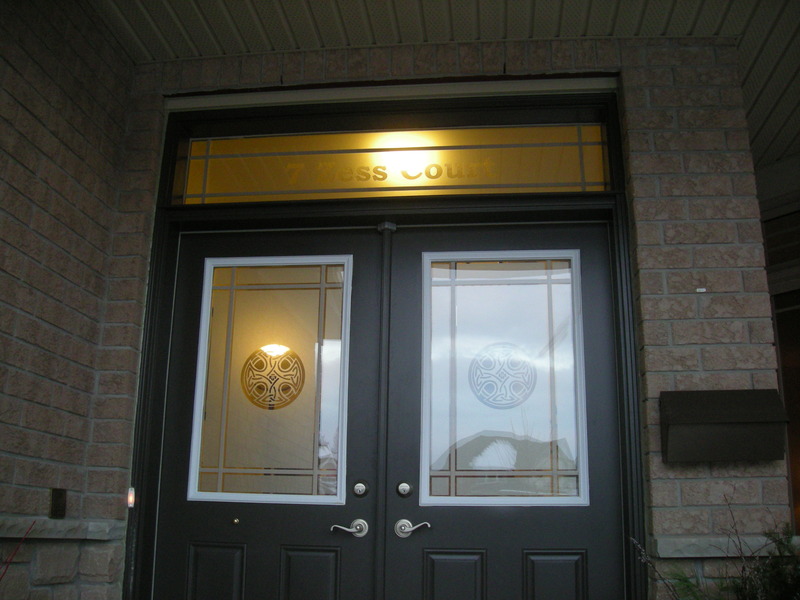 Custom-cut decorative designs can increase your curb appeal by adding visual interest to your doors or windows. Our graphics team can design a pattern to complement any house or décor. Full-colour printed films are also available, providing an infinite number of ideas and possibilities. Frosted films are perfect for bathroom windows, allowing full daytime and nightime privacy. Frosted film is a great solution on glass showers should you desire extra privacy, and is easily cleaned and durable.